Our village is located close (20 km) from Toulouse, the South-West capital of France, and the European capital of aerospace. Toulouse is a very old city (2000 years) and is close to very famous touristical spots like Carcassonne, Cordes sur Ciel, Lourdes, Bordeaux, Cahors, Albi. It's located in between the Atlantic ocean and the Mediteranean sea, and close to the Pyrénées mountain, making a frontier with Spain. You will enjoy one of the best area in France for food, wines and cheeses. 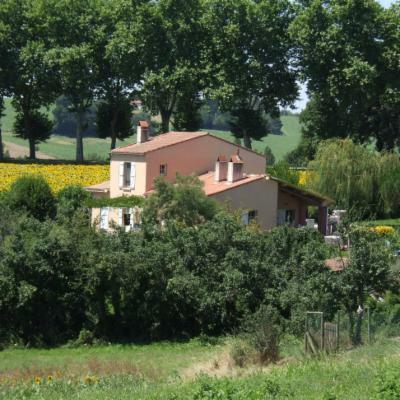 Our house benefits from a wide garden and a fantastic and peacefull view on the countryside.